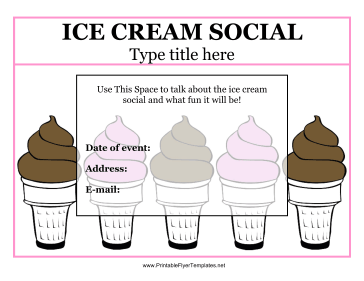 This ice cream social flyer has a background of soft serve ice cream cones in chocolate and strawberry with a pink border. You can include the date and address of the event, as well as important information about contacting the organizer. This is an excellent sign for use in schools and neighborhoods because it is very friendly and child-appropriate.